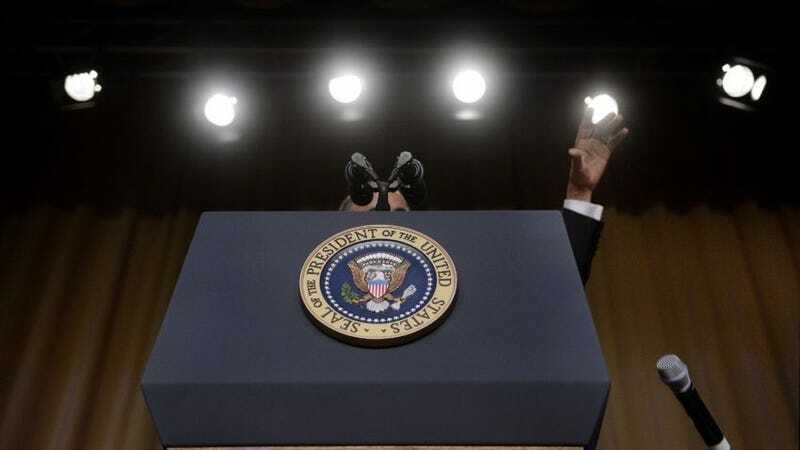 The hour-glass of President Barack Obama’s last days in office is almost empty and during his last press conference, he told reporters gathered that he didn’t always like the stories they filed, but he appreciated and respected them for speaking truth to power. President Obama also talked about how his daughters, Sasha, 15, and Malia, 18, handled Hillary Clinton’s Electoral College loss to Donald Trump. And to the many people in the nation shaken by his impending exit from 1600 Penn. Ave., Obama said there are issues that may cause him to enter the political fray as a private citizen, even as he reiterated that he will not run for elective office. “In a democracy, sometimes you’re going to win on those issues and sometimes you’re going to lose,” he said. “But there’s a difference between that normal functioning of politics and certain issues or certain moments where I think our core values may be at stake. “I’d put in that category if I saw systematic discrimination being ratified in some fashion,” Obama continued. “I’d put in that category explicit or functional obstacles to people being able to vote, to exercise their franchise. I’d would put in that category institutional efforts to silence dissent, or the press. I don’t see how this gets resolved in a way that maintains Israel in a way that both Jewish and a democracy. Because if you do not have two states, then, in some form of fashion, you are extending an occupation. Functionally, you end up having one state in which millions of people are disenfranchised and operate as second-class occupants or residents. You can’t even call them citizens necessarily. The growth of the settlements are creating a reality on the ground that increasingly will make a two-state solution impossible. In true Obama fashion, he left the nation with a message of hope.